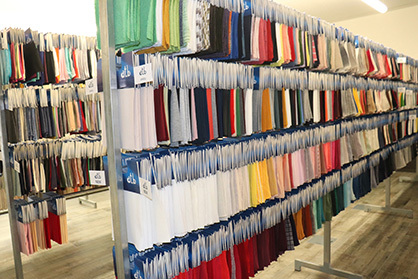 As the specialist in the supply of finished fabrics for Europe’s leading fast fashion retailers, Portugal’s ATB knows it can completely rely on its Monforts technology. Not so long ago there were just two fashion seasons per year, but with the advent of ‘just in time’ manufacturing and the optimisation of supply chains, the timescale in the latest designs moving from the catwalks to the high street stores has been drastically shortened. Internet retailing has only accelerated expectations and with the advent of digitisation, the era of 52 micro-seasons per year is very much upon us. One company that was quick to recognise and respond to the emergence of fast fashion is ATB – Acabamentos Têxteis de Barcelos – established in 1985 in Barcelos in northern Portugal. The company is dyeing and finishing between 36-40 tons of fabric on a daily basis for key customers including Benetton, Esprit, Mango, and also Inditex – the textile logistics chain behind the hugely successful Zara brand which is synonymous with the rise of fast fashion. These customers are, says company founder Mário Mano, extremely demanding in terms of quick turnaround. At present, the company is keeping busy with a huge €1.5 million order from Inditex for a total of around 600 tons of processed knitwear. ATB is one of the few companies with the capacity to deal with such an order, which in any case, is pretty unique these days. 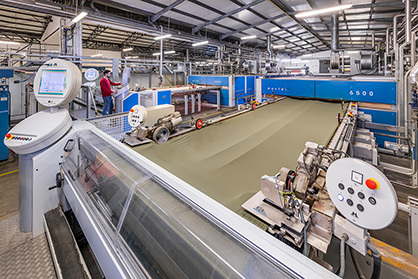 Knitting is carried out at ATB’s sister company Etevimol, also in Barcelos, with 87 employees running some 160 knitting machines supplied by the leading European manufacturers. The ATB dyeing and finishing plant meanwhile has 187 employees and investment in the latest technology is ongoing. In addition to the knitted fabrics from Etevimol, it also finishes woven fabrics on a commission basis. The company installed its first Monforts Montex stenter frame in 1990 and has subsequently ordered four more over the years. All are 2.4 metres wide and use heat recovery units for increased energy efficiency and also the latest control equipment, to grant the highest possible process quality/reproducibility. In addition, the ATB plant is equipped with three Monforts Dynair relaxation dryers, with the latest being installed in a new building which is also presently used for warehousing but will eventually be used for additional manufacturing lines. The ATB finishing plant is operating over three shifts, for 24 hours a day, and often at weekends too, Mr Mano says. 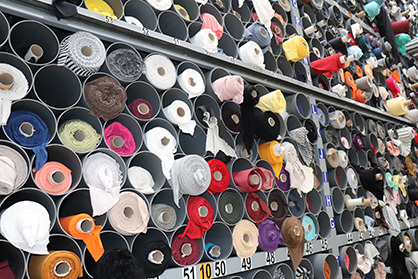 ATB also holds some 10,000 fabric samples in stock, and its library is constantly growing. 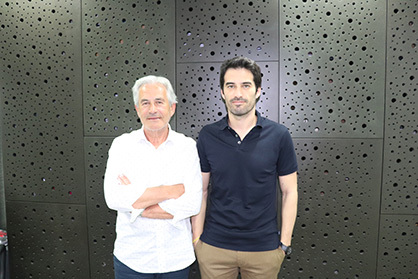 “Our customers will ask for initial fabric samples and then very quickly need five metres of the fabric for prototyping, so we have to be very organised in this respect,” says Mario’s son Ricardo, who now works with his father managing the plant. 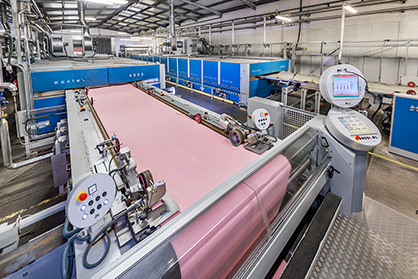 “Following the ITMA 2015 textile machinery exhibition in Milan in 2015 – when the major advances in digital printing became apparent – we invested in three new digital printing machines which are housed in a special humidity and temperature controlled plant at the site. It’s a new service for our customers, which they have appreciated, and is proving extremely helpful in the fabric sampling process.